MDG offers our service partners a variety of microbial products and programs to help diagnose and improve the biological component of environmental treatment systems. Our Biotifx™ Platform of Products were designed based on years of basic research and development, laboratory, application and field experience. 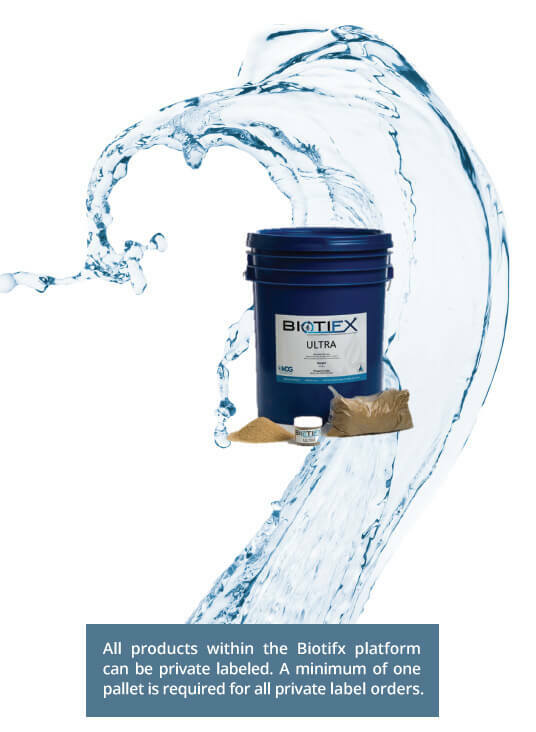 The Biotifx™ Platform of Products use a blend of six (6) or seven (7) Bacillus strains in various ratios (depending on the application) combined with a proprietary blend of micronutrients that enhance the ability of natural bacteria to degrade organic pollutants. The Biotifx™ platform of products are highly effective and useful for numerous treatment applications and industrial sectors.